Dr. Biehl earned a B.A. in philosophy from St. John’s University (Queens) and a Ph.D. from the Graduate School and University Center, CUNY. He has taught philosophy in New York and in Cork, Ireland. Dr. Warenski teaches at City College and at the Graduate School and University Center, CUNY. Visit her site at lisawarenski.com. Dr. Meagher is Vice-President for Academic Affairs and Dean of the Faculty at Marymount Manhattan College. She is the author of articles on philosophy of the city, urban geography, feminist theory and practice, and ethics, and the editor of two books, a feminist analysis of public policy (Women and Children First, Albany, NY: SUNY Press, 2005) (co-edited with Patrice DiQuinzio) and Philosophy and the City: Classic to Contemporary Writings (Albany: SUNY Press, 2008). She is completing a monograph on the relationship between Western philosophy and the city entitled Philosophical Streetwalking: Grounding Philosophy and the City and editing a Handbook on Philosophy of the City for Routledge. She serves on the editorial board of the journal CITY. Dr. Moody-Adams is currently Joseph Straus Professor of Political Philosophy and Legal Theory at Columbia University, where she served as Dean of Columbia College and Vice President for Undergraduate Education from 2009-2011. Moody-Adams has published articles on equality and social justice, moral psychology and the virtues, and the philosophical implications of gender and race. She is also the author of a widely cited book on moral relativism, Fieldwork in Familiar Places: Morality, Culture and Philosophy. Her current work includes articles on academic freedom, equal educational opportunity, and democratic disagreement. She is at work on a book tentatively entitled Renewing Democracy, on the political institutions and political culture essential to achieving justice and promoting stability in multicultural democracies. Dr. Menser teaches in the Department of Philosophy at Brooklyn College and is a member of the doctoral faculty in Earth and Environmental Sciences and Environmental Psychology at the Graduate School and University Center, CUNY. He is Director of the Economic Democracy Project, Chair of the Board of Directors for the Participatory Budgeting Project and works with the Science and Resilience Institute at Jamaica Bay. He is the author of We Decide! Theories and Cases in Participatory Democracy. Mr. Olasov is a doctoral student in philosophy at the CUNY Graduate Center and teaches philosophy at Brooklyn College. His research interests are broad, but currently center around when and how people express their moral attitudes in everyday conversation. 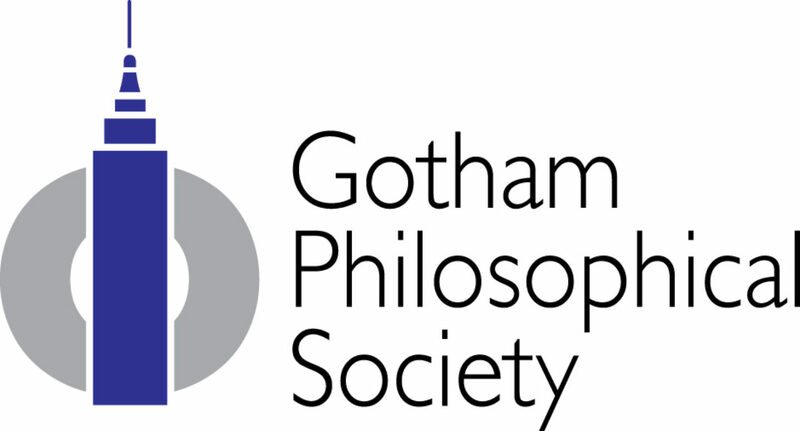 He also organizes Brooklyn Public Philosophers, a monthly philosophy speaker and discussion series for a general audience. You can read some of his writing for a general audience at Slate, Vox, and Public Seminar. He is Brooklyn born and bred. Dr. Shein is Associate Vice President and Dean of Studies at Bard College. Executive Vice President for Government Affairs at the Children’s Health Fund, a non-profit organization that initiates and supports innovative pediatric programs designed to meet the complex health care needs of medically underserved, homeless and economically-disadvantaged children. Johnson is also the Policy Director, National Center for Disaster Preparedness at Columbia University’s Earth Institute, where he acts as a liaison between the Center and policymakers and elected officials at the state and federal levels. Prior to his tenure at The Children’s Health Fund, Mr. Johnson was a senior program officer at the Fund for New York City Public Education and a research analyst at the Public Policy Institute of the Business Council of New York State. Lorraine is the Market Data Advisor for Sales & Trading and Operations at a top-tier financial firm in New York City. Lorraine graduated from Ithaca College with a BA in Political Science, and has a Masters Degree in Library and Information Science from Long Island University, the Palmer School. Lorraine currently volunteers with Read Ahead as a mentor. Scott Meserve is a veteran development officer with 15 years’ experience in New York City’s philanthropic world, and the father of two inquisitive sons. He has helped manage successful fundraising campaigns for Columbia University, NewYork-Presbyterian Hospital, Central Park SummerStage, a 9/11 charity, and helped found and run several documentary and feature film festivals. He is a board member of Uptown Soccer, in his home neighborhood of Washington Heights, and cornerstone Studios, an affordable studio space for emerging and career visual artists. He holds a BA in Political Science from Columbia University and is philosophical about the odds of his beloved Mets winning another World Series in his lifetime.